I was at an autograph signing with other former MLB players, engaged in a conversation about how we all carried “myths” with us into our MLB careers. For the most part, we all mastered the correct timing and kinesthetic feel for our swing and timing. After years of training and at least 1000 At-Bats, our swings were very natural. Still, whenever we’d get into trouble or struggle for a bit, our first instinct was to figure out what it is you’re doing wrong. That’s when the problems started for most of us. If our basic understanding of one of the critical techniques was ever wrong, it made it hard to correct problems when they came up. After bumbling around for a while trying to fix things, it usually took a teammate to say something like, “are you trying?”. You would be offended at first, then start laughing, because you knew that meant you were over thinking things. You needed to simply go back to putting your hands behind you and attack the ball, letting your natural kinesthetic feel (learning by doing) put things back together for you. The critical absolutes frequently get turned upside down and turned inside out by misunderstanding and flat out MYTHS. The problem happens when the explanation of an idea creates more confusion, rather than less. 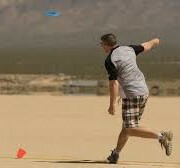 The experience of hitting is very different from the best explanation of it, unless you’re talking to a mature hitter who’s done the research and can back up what he’s saying by citing examples of other familiar movement models, such as well known activities like digging a hole with a PickAxe or throwing long toss with a frisbee. …or a slightly modified drill in the gym exercise that’s so intuitive it cannot be corrupted because it’s extremely intuitive. For example,while doing a strict one arm row behind your back, you’d intuitively know never to rotate your hips during the movement. The example given in a recent forum comment, “rotating your lower body first, and then your hands will come through”, needs a more detailed explanation. I don’t want to offend anyone and play rough and tumble with semantics, but teaching “Fire Your Hips”, puts you at risk for spreading an inaccurate myth and confusing the next generation of developing hitters. Your hips may land slightly open after your stride when throwing and hitting, but that’s to get you in a good position, and to create hip shoulder separation. Your power from your core and releases rotational energy, but only if you fire your core against your hips. Can you name a piece of exercise equipment in the gym where you work your hips? There isn’t one because we use our core for rotational power and directional force. Your hips will get turned when you’re transferring your weight off your back side while rotating your core, but you don’t consciously fire your hips in any sport…unless you want your energy to pull off in the wrong direction. On the surface the comment in the forum above sounds right because it might be familiar to you, but IT’S WRONG…no matter how much you want it to be correct. In the video below I demonstrate with MLB hitters, how it does NOT hold up to observation or experimentation and is therefore, categorically wrong. (of course I was not referring to the George Brett comment…). You can find these Myths in everything from simple buzz words to fully developed theories that have disastrous consequences. I have several examples related to hitting the inside pitch, and I’ll be breaking it down in detail in a couple of upcoming video classes Ill be giving online. The first one will cover “The X-Factor for the Inside Pitch and the second will cover “Total Transformation Timing”. Getting back to the statements made in the forum…the truth is, your lower body, your base (that means your feet, lower legs, knees, upper legs and HIPS) are all a part of the system called the FOUNDATION. Think of your base like an engine mount for the engine or power plant. If what’s said in this forum was correct, that would mean your power plant is in your big toe. I’ve never met anyone who had 500 ft power in his back toe but if you find someone, have him email me. If the power was in the big toe (way down the kinetic chain from the core motor), then ok…the back foot would rotate, then the knee, then the hips, followed by the core, shoulders, arms and bat. The reality is that the CORE is the power plant and therefore, the job of everything under it is to get into the best possible position and create a stable base so that the core motor can fire ballistically. So I am taking it upon myself to take a more fatherly role in our industry and gently guide the gang back to simple movement models that cannot be corrupted. 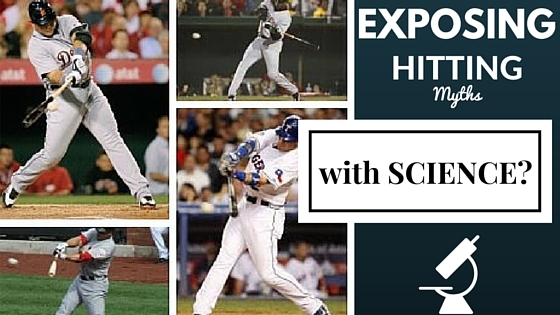 There are so many myths out there surrounding the inside pitch, I thought it was appropriate to comment here because I have a Webinar coming up called “How The X-Factor Helped Me Hit The Inside Pitch” where I’ll be going into detail about this worth subject. In fact, for a professional hitter, striving to master the inside pitch is arguably the most coveted skill we all can master. When we’re locked in, you can bet we’re comfortable hitting the inside pitch and doing things right whether we know what we’re actually doing or NOT! Since the experience of hitting is so unique, this dilemma has created an information void begging to be filled. Information is the currency of the 21st century, and our careers are too short. There’s too much competition to make all the mistakes ourselves without the help of an expert who’s been there and experience the whole process. To be able to accurate teach something, you must possess the kinesthetic feel for the movement model, especially if you are going to make corrections and judgements for a hitter in the spirit of helping them…my advice is if you can’t find a movement model outside of hitting that can prove your theories correct kinesthetically, then question it because you need to be able to simplify everything, from the big picture all the way down to the step by step details. Our industry has been under siege for decades with Myths in every form imaginable. These Myths are so wide spread that in most places they’re accepted as the way MLB hitter do it, yet when you look at it and shine some light on it and ask “what about this idea do you see an MLB hitter actually do? and then go through any example with them from a hitter seen in the big leagues and go through it with them frame by frame, in every case with these Myths they can be busted in the first few seconds. 1. First you make a guess and propose a theory. 2. Then we compute the consequences of the guess to see what it would imply. 3. Next, we compare the computation results to nature, experiment, or experience, comparing it directly to observation to see if it works. 4. If it disagrees with experiment, it is wrong, and in that simple statement is the key to science. ⁃ It doesn’t matter how beautiful your guess is. ⁃ It doesn’t matter how smart you are. ⁃ It doesn’t matter what his name is. ⁃ If it disagrees with experiment…it’s wrong!!! I can’t begin to tell you in how many ways these statements will destroy a developing hitter. The misrepresentation of rotating your base prematurely is nothing less than dangerous, and there are many in our industry who throw around the phrase “hitting from the ground up”…a concept that I absolutely agree with. Put it this way, if you took this idea and made a comparison to chopping a tree out front, using the same movement model to experience the same motion of your baseball swing, you’ll find out the truth of the motion because when you use a tool that has natural intuitive rules, it’s more natural to figure out and feel what you’re supposed to do. One of my secrets is to use incorruptible movements, (Swinging an axe into a tree, sledge hammer into a wedge, a pick axe to dig a hole). You have this ability to access a movement that you’d never consider doing incorrectly. There’s nothing about using any of these tools that would compel you to open up and rotate your lower body first. Truth: Your base is your foundation for your CORE MOTOR, so picture an MLB hitter firing his core motor with enough explosive power to hit a ball 500 feet, and you may begin to understand that any rotation in your foundation (feet, legs, knees, hips) is purely to get your body into the best position, and then provide stability as you release the full power of your core motor. 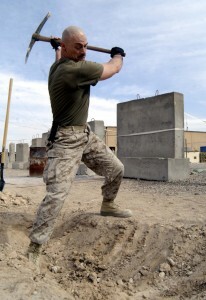 In my 40 plus years of experience, you’re gonna want a strong foundation, and you’ll need a toe hold with the ground to do it. Sure, the hips get turned, but they’re not the motor and they don’t fire like a motor would. The back foot may get turned, the knees almost always rotate early to establish a good position and provide the best body position, providing stabilization, for your high ballistic core motor to fire violently, even ballistically. Someone can observe your back foot eventually turn to help you maintain your posture…I call it “a kick stand” after contact…Someone can observe your back knee rotating (it’s actually a lateral pinch) and it looks like a turn, but it’s simply getting into position. The back knee will eventually get turned, when theirs no weight on it during your transfer core turn but again, it’s not the motor…it’s job is to get into the best possible position and then help stabilize your foundation so your core motor can fire. Anything less than staying sideways till you get your weight off your back side, is nothing less than madness. Tweet that!